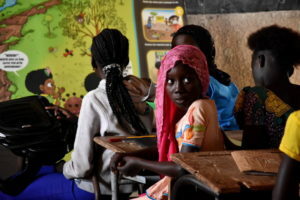 Environmental education for children in Senegal. 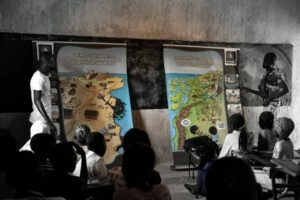 The Ivory Foundation supports the Nebeday association through an environmental education project for children in Senegal. Nebeday (which means “Moringa”, the tree of life, in Wolof) is a Senegalese organization of participative management of natural resources that conducts projects to protect biodiversity, fight against the consequences of climate change on people in a particularly vulnerable area, the “Sine Saloum” Delta, on the UNESCO World Heritage List. To cope with high population growth, Senegal has drawn heavily on its forest resources for the production of charcoal: more than 4 million m3 of wood are harvested each year to meet the energy needs of the population. In addition, livestock scavenging and the 2,000 annual bush fires prevent the regeneration of trees. As a consequence, Senegal has lost almost half of its forest area in 60 years, this corresponds to an area equivalent to 300 football fields per day. This rapid degradation of the environment plonges populations into a situation of poverty and vulnerability. The project wants to support initiatives to reverse this trend. 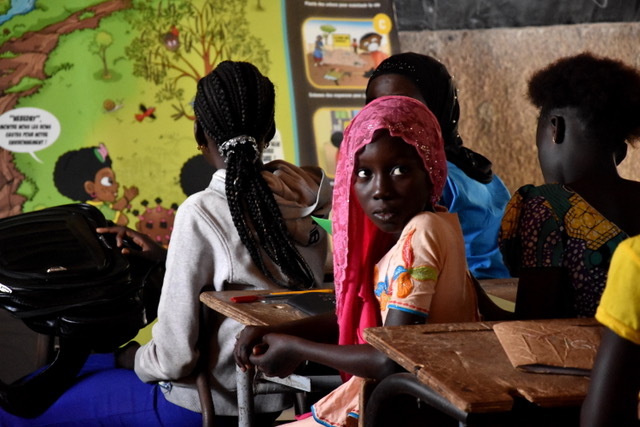 It aims to educate children so that they become responsible adults in the management of natural resources and thus be able to live with dignity in their villages. 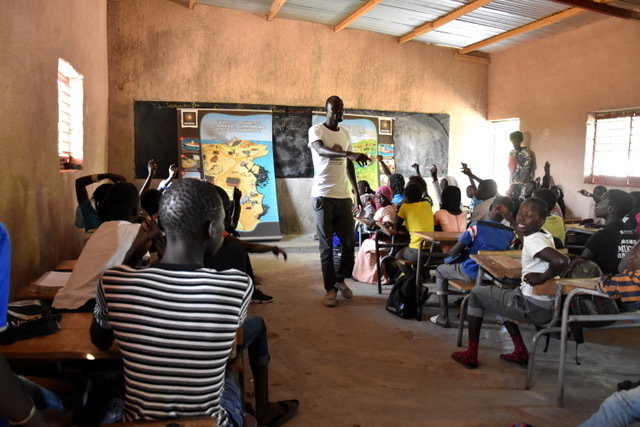 The aim of the partnership is therefore the implementation of an environmental education campaign for children and teachers in 20 schools in the Fatick region in the south of the Saloum delta in Senegal. The target beneficiaries are 1,500 children from 20 schools and 50 teachers. Environmental education sessions in schools will be conducted via educational materials featuring Mia Moké, a little girl in love with nature, who conveys the values ​​of sustainable development and encourages initiatives that preserve the environment by explaining it to children. Mia Moké program uses the vector of the hero to enhance African culture and raise children’s awareness of environmental protection and the SDGs (Sustainable Development Goals). Mia Moke is a modern little girl steeped in reality, accompanied by imaginary little characters who inhabit her universe. This character makes it possible to bring a positive vision of Africa through digital contents (applications), comic strips (eco Bd), as well as booklets of plantations (Kit of seeds), and other supports of environmental education (posters, school notebooks ..) that have already been distributed by “Nebeday” in many classes in Senegal. Following class screenings (eco-BD) Nebeday will organize question-and-answer games with the children on the basis of the posters on a large tarpaulin of 3 meters by 2 meters to reflect, with children and teachers, thematic presented. These exchanges will be supplemented with posters offering an active and participative pedagogy. The project aims to raise the awareness of 1,500 children in 20 schools and 50 teachers. Children become spokespersons for environmental issues with other children and their parents. Thus the message will be distributed as widely as possible. During this action, 1,000 trees will also be planted in these schools.